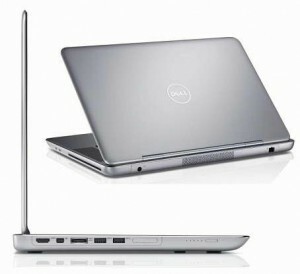 Dell XPS 14Z is a stylish laptop that was unveiled by Dell at IFA 2011. The most promising feature of this device is its size which is ultra-thin. 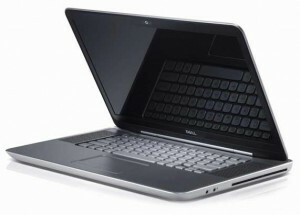 Dell claimed that Dell XPS 14Z is the World’s Thinnest but full featured notebook. There is a wonderful a 13.3-inch-sized aluminum chassis which covers a 14-inch LED backlit display which delivers around 1366 x 768 pixels of resolution. It will surely be a fin to watch videos on this well-designed display. I’m sure many people will like to browse the web on Dell XPS 14Z Ultra-thin laptop as it is powered by intel dual-core processor. The good thing is that you are free to choose the model of intel dual-core processor as there are two options to choose from one is 2.4GHz Core i5-2430M while second is 2.8GHz Core i7-2640M. It is quite certain that the cost of second option is more than that of first one as latter will offer speed for processing in comparison with former dual-core processor. Dell XPS 14 ultra-thin Notebook is featured with a 4GB of RAM, a GeForce GT 520M graphics accelerator (nVidia Optimus supported), 500GB hard drive, a slot-loaded optical drive, and USB 3.0 port. You will be able to browse the web on the go with the mean of laptop’s Wi-Fi connectivity option. Dell XPS is pre-installed with Windows 7 operating system that’s mean there are many goodies of Microsoft which will add great comfort into your life. The smooth and user-friendly interface of Windows 7 OS will surely be desirable for you. This ultra-thin laptop of Dell will start rolling out in China, Europe and America later this year, possibly during holiday time. It is expected that the Dell XPS 14z Notebook will come with a price tag of $999.